Chubut River (42 40' S-70 00' W), northwest Chubut Province, Patagonia, Argentina. The mysterious plesiosaur Aristonectes has many small pin-like teeth. 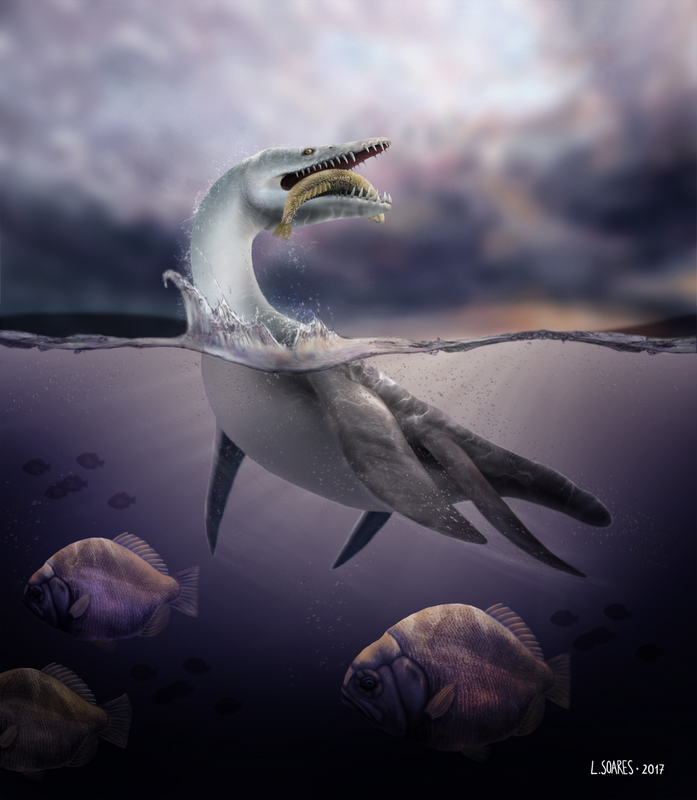 A special feeding guild, the ‘trap guild’, has been proposed to accommodate Aristonectes and other plesiosaurs with similar dentition (Chatterjee and Small, 1989) such as Cryptoclidus, Kimmerosaurus, and Kaiwhekia. 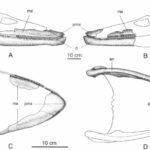 These plesiosaurs may have fed in a similar manner to the extant crabeater seal, using their sieve-like teeth to capture krill (Martill et al. 1994). The phylogenetic affinity of Aristonectes has was disputed for a long time. 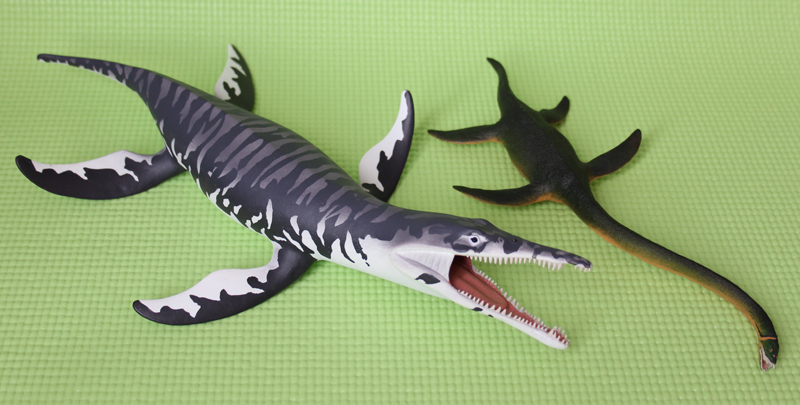 The taxon was first interpreted as an elasmosaurid by Cabrera (1941) and later also by Bardet et al. (1991) and Gasparini et al. (2003). 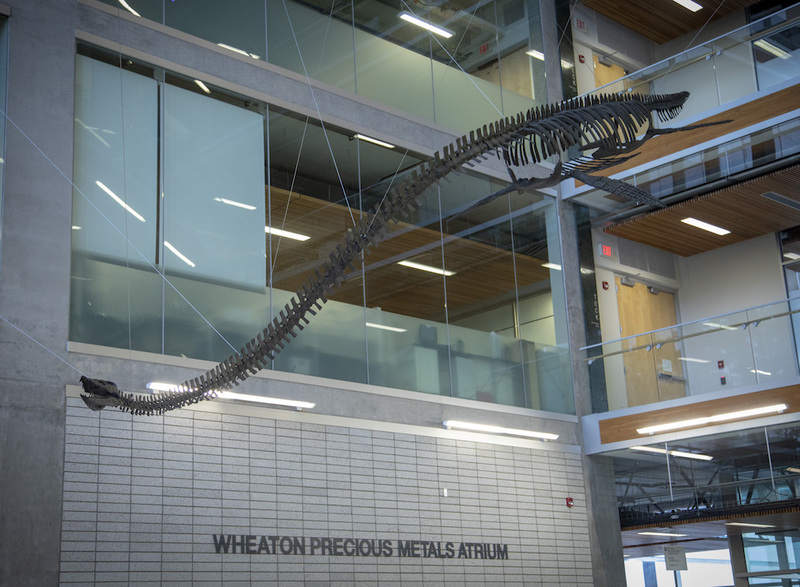 However, it has also been interpreted as an ‘aberrant pliosaur’ (Welles, 1962), a cryptoclidid (Brown, 1981; Chatterjee and Small, 1989) and a ‘cimoliasaurid’ (Persson, 1963). Morturneria was regarded by Gasparini et al. (2003) as a junior synonym of Aristonectes parvidens. O’Keefe (2001a) included Morturneria in a cladistic analysis and classified it as a ‘cimoliasaurid’. However, this family is now considered invalid, and Morturneria has since been regarded as a valid taxon. The new family Aristonectidae was recently erected to accomodate Aristonectes and its close relatives. Brown (1981) noted that the occipital condyle of Aristonectes possibly incorporates the exoccipital, a character shared only with the cryptoclidids (sensu Brown, 1981) and a Jurassic specimen referred to (but not – pers obs) Eurycleidus by Cruickshank (1994b). Gasparini et al. (2003) confirmed the presence of this character: the posterior protrusion at the base of the exoccipital (see Chatterjee and Small, 1989 fig. 8) when paired with the “very short [basioccipital], without a separating groove” (Brown 1981) would complete the occipital condyle. A partial skull from Chile was also referred to Aristonectes (Suarez and Fritis, 2002). 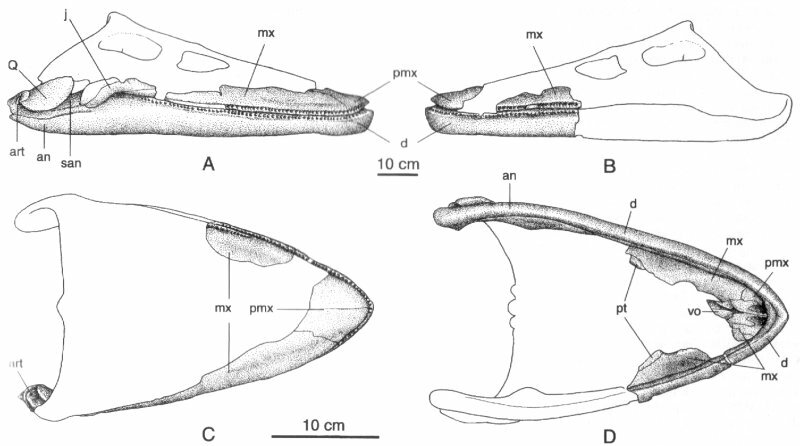 Skull of Aristonectes in various aspects. From Gasparini et al. (2003). A. parvidens is the type and only species of Aristonectes.